Belfast native Patrick Conlon made history last night by becoming the Irishman to play in the Majors since Cork’s Joe Cleary made a single out for the Washington Senators in 1945. 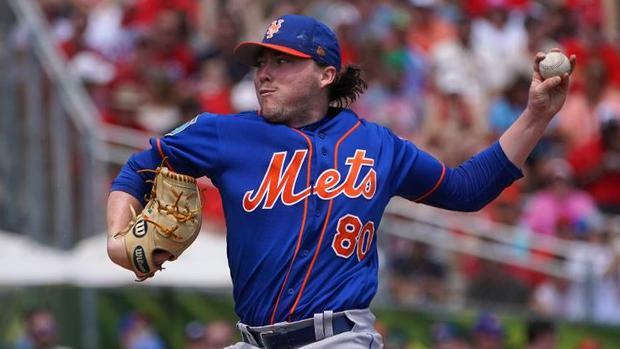 Conlon made his debut for the New York Mets as they beat the Cincinnati Reds at the Great American Ball Park in Ohio. The 24-year-old, who moved to California as a child, was a a 13th round draft choice of the Mets in 2015 and has been fast-tracked into the majors by an injury to All-Star pitcher Jacob deGrom and the release of former star pitcher Matt Harvey. The left-hander retired seven of the eight batters he pitched to but Billy Hamilton hit a home run against him in the third inning. In their second run against the pitcher, Cincinnati struck for three doubles and a walk in the fourth. He produced a hit with the bat but his evening was ended by a slight thumb injury. "I thought he threw the ball great," Mets manager Mickey Callaway said. "He wasn't afraid to pitch in off the plate to set up his offspeed stuff." Conlon was blown away by the support he received from his native Ireland at the game with numerous tricolours waving in the stands. "It's just something you dream about," Conlon told mlb.com. "It was cool. It was just so fun. It was a heck of an experience. "I've gotten unbelievable support, and all these people reaching out to me yesterday and today. "It means a lot. You could see them in the stands, waving the Irish flags. They're proud of it, and I'm proud of it."